If your child is having difficulties whilst growing up, then Child Play Therapy could be the answer. It�s an effective way of resolving issues that your child may be experiencing. Children communicate in many ways, with play being one of the most important forms of expression. Play Therapy is a structured approach that builds on the normal communication and learning processes of children. It works by giving them the freedom to express themselves using toys and activities in a playroom, meaning that they can communicate without having to answer any potentially difficult questions. The therapist provides a safe space where the child is free to play in the way they choose, the therapist then facilitates their play by tracking, reflecting feelings, and encouraging as a relationship is built up between them. Sandra Emmet has been practicing as a Play Therapist for 15 years and has worked for over 30 years with children from pre-school age and above. Fully-qualified, she is trained in Child-Centred Play Therapy and holds a BSc (Hons) in Psychology, an MSc in Psychoanalytic Developmental Psychology and a PG Diploma in Play Therapy. For more about Sandra�s background, see About page. Based in Northampton, Sandra works as a freelance therapist in schools as well as taking referrals from local authorities and private clients. Sessions are held at an agreed location once a week at the same time. Generally, sessions last for 45 minutes and a course of sessions runs for as long as is needed, usually between 12 to 24 sessions. For details on prices, see the Services page. For more information, see the FAQs page. 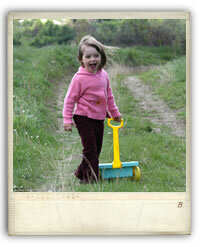 To book Child Play Therapy for your child, contact Sandra or phone 01604628452.